Legends in the limelight: WEFUNK salutes the music & poetry of Gil Scott-Heron with selections from his most prolific decade, from 1971's "The Revolution Will Not Be Televised" to 1981's "Grandma's Hands" and "Gun". And DJ Hedspin pays tribute to two of hip hop's royalty, Rakim and Diamond D, complete with with crisp cuts, obscurities, interviews and original samples. Bain Magique's back to rinse out some hot remixes of Erykah Badu & the Jackson 5, solid headnodders by Big L & Masta Ace and boogie jams from Keni Burke & Archie Bell. DJ JS-1 drops a brand new N.Y. anthem featuring Lil Fame, Joel Ortiz and Freddie Foxxx, and Static rounds up some Mount Real hip-hop from Karma Atchykah and Nomadic Massive's Lou Piensa, as well as a double shot of DJ Vadim from the classic "The Terrorist" to his latest project The Electric. Old & new 4 you: The Beastie Boys keep making noise in 2011 on "Hot Sauce Committee Pt. 2", DJ Static dusts off LP cuts from A Tribe Called Quest, Organized Konfusion and Tracey Lee, and Professor Groove dips into soul from Ace Spectrum and Zulema, jazz breaks by Azymuth and The Greyboy Allstars, and slow-burn funk grooves from The Monophonics and Roy Hargrove. Meet me at the Go-Go: Our guest Dylan unveils the percussion-heavy funk of D.C.'s best kept secret, featuring tracks by Rare Essence, E.U., Chuck Brown and The Huck-a-bucks. Plus a special birthday tribute to #1 soul brother James Brown covering his early funk, disco-era jams, classics like "Super Bad", "The Popcorn" and "Make It Funky", and JB-fueled hip hop from Nas, Lord Finesse, Big Daddy Kane and Main Source. DJ F.U.N.K. fires up the mix with his special edits, raw funk selections and nasty future funk featuring tracks from Betty Davis, James Brown, Mr. Scruff, Missy, Onra, Frankie Beverly and much more. Plus some crazy beats from Pig Bag, a soul-break classic from Patti Drew, new downtempo sounds from the Echocentrics, and WEFUNK marks the anniversary of Guru's passing with a special Static blend ("DWYCK" vs "Speak Ya Clout") and a tribute track by the Beast featuring John Robinson and Jocelyn Ellis. Big beats: DJ Bliss is back in the studio with headnod hip hop, big beat and downtempo tracks from Bootman, Chemical Brothers, Total Devistation, Kenny Dope and more. Plus a sample of the SP-1200 magic of "Chocolate Boy Wonder" Pete Rock, Brazilian roughness from Miguel de Deus, Afro flavors from Butta, and sweet soul from the Sweet Talks and Jean Carne. Featuring crazy breaks & rhythms from the Koliphones and Marius Cultier, soulful funk from Mr Day and Bobby Bloom, a beefed-up DJ Hedspin edit of Ultimate Force, Raashan Ahmad's jazzy "Sunshine" off his latest LP, an X-Clan/Meters "Funky Miracle" sample moment, and blends & freestyles from Biggie, Jay-Z, Method Man and KRS-One. Supreme teams: John Legend and J.Period retouch Roberta Flack's classic "Compared to What", Ski Beatz assembles an all-star cast on "Prowler 2", and legends Roy Ayers and Marley Marl combine on "Hummin'". Plus soul sounds from Lee Dorsey and Kings Go Forth, a recently unearthed Jaylib scorcher "Louder", and deep disco eclectica by Larisa Dolina, Ray Mang and Katzuma. The Cheeba Cheeba Kid returns with spacey, psychedelic jazz breaks from Hubert Eaves and Deodato, disco gems by Loloeatta Holloway (RIP) and Mammatapee, and underground hip hop from Pharoahe Monch and Lupe. Plus Korean funk by Black Butterfly, a new project from Kev Brown and Kaimbr sampling from Al Green's vaults, and Static gives his remix treatment to classic Grand Puba and Rakim verses. WEFUNK pays tribute to the golden voice of G Funk, Nate Dogg - including tracks and collabos with Snoop, Dre, Warren G and Mos Def. Plus a new Raekwon banger "Rock & Roll", Brassroots' funky "Good Life" version, rough funk from the New Mastersounds, and lots of disco-era jams by T.S. Monk, Montana Sextet, Peter Brown and more. Ladies in the limelight: Featuring women in hiphop, from trailblazer Queen Latifah to hard rhymers Jean Grae & Rah Digga to European soulstresses Jessica Fitoussi and Linn. Plus fresh takes on old classics from Snoop (Morris Day's "Cool") and Prince Fatty (ODB's "Shimmy Shimmy Ya"), pumped up beats & breaks from Neighbour and Breakout, and lots of Biggie heat. Ain't nothin like a Friday night: Ruby Jane mixes up lots of soulful 90s R&B like Zhané, Soul II Soul and Redhead Kingpin, plus some tasty drum-heavy remixes of Stevie Wonder and Bill Withers. Meyhem Lauren & Action Bronson timewarp back to 90s New York rap on "Typhoon", and Mr. President puts down an exquisite uptempo redux of Al Green's "Love and Happiness". Triple threat: DJ Kobal serves up a beat buffet of rough 60s soul, funky rock breaks and bumpin' disco, including selections by Mountain, Grand Funk, Timebox, Solomon Burke, Chic and more. Never Yet Contested pens a hip hop ode to vintage video games, and Prince Po (Organized Konfusion) gets nice on new tracks by Malkovich and Beneficence. Plus a synthed-out bonus set featuring Beem, Dam-Funk & Opolopo. 7-inch Soul: Rawsoul mixes up an all-vinyl set of soul, disco & boogie, and feel-good 90s hip hop with samples from Fonda Rae, Patrice Rushen and Zhane. Plus some sublime sister funk with TTF's "Surprise! Surprise!" 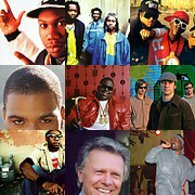 and Third Wave's "Love Train", and WEFUNK remembers Montreal's Bad News Brown and his unique hip-hop harmonica sound. Featuring a "funky corners" mix with tracks by Lee Dorsey, Richard Marks, The Highlighters, Breakestra and more. Boogie basslines from Unlimited Touch & Halloween, and syrupy jams by George Duke & Bernard Wright. A Dilla retrospective marking the 5th anniversary of his passing. Plus Janelle Monae's genre-defying "Dance or Die" featuring Saul Williams off her epic 2010 LP "AndroAndroid". DJ Ilya drops in with dusty favorites from the Ohio Players and 24-Carat Black, headnod joints by Smif-N-Wessun, Erick Sermon, Slum Village and much more. Akua Naru drops an impressive single from her debut LP "Journey Aflame", Medline/Debuzz gets under your skin with murky funk production, and Lady Daisey dips into her past on the catchy "My Story". Dirty funk: Scott C gets down on some grimy beats and raw breaks by Yellow Sunshine, Qwerty Musique, Mizz Beats, Jai Paul, Mos Def and more. Plus some rough & rugged bboy jams including a DJ Static Ultramag/Tragedy blend, soulful picks from the Main Ingredient and Ronnie Laws, and a crazy afrobeat version of Hendrix's "Crosstown Traffic". Featuring a deadly blend of Wu + Budos Band on Wudos Band's "Ayno Tellin'", smoothed-out 90s Montreal hip hop courtesy of the Rainmen, haunting nu-soul by Jeremy Platt, beefed up breaks from DJ Moar and Broken Keys, mind-melting jazz by Soul & "Pimp" Sessions, and Roger Troutman's '96 rebirth on "Chocolate City". Rawsoul freaks the sweet soul/boogie from Real to Reel, Dam-Funk and Cotton Candy (with Afrika Bambaataa), plus laidback hip hop by Talib Kweli, The Roots and Little Brother alumni Big Pooh & Phonte. Ghostface meets Primo on Static's "Mighty Healthy" blend, beat titans Pete Rock & Easy Mo Bee team up on the Heavy D classic "Black Coffee", and we check out new funk from Charles Bradley and Montreal's VooDoo Monx with Floyd Lawson. Behind the groove: WEFUNK pays respect to Teena Marie aka "Lady T". Plus more Shaolin soul from Ghostface's new "Apollo Kids" LP, sweet soulful disco from China Burton, spacey beats by Alan Hawkshaw, and a DJ Static ol skool set powered by 808s, synths and samplers. 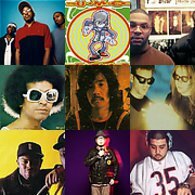 WEFUNK dips into some catchy "scratch funk" from The Apples, two cuts off the new DJ Premier album, dancefloor nu-boogie by Opolopo & Comfort Fit, jazzed out breaks from Mr. Scruff, some classic 90s R&B remixes, and heavy new b-boy beats from DJ Format. Ruby Jane waxes nostalgic with a set of sweet downtempo and then looks to the future of dancehall, funk & latin with tracks by Bonjay, Dojo Cuts and Chico Mann. 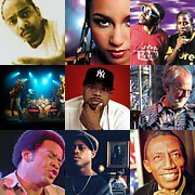 Plus: Nas & Damian Marley's take on the Dennis Brown classic "Promised Land", boom-bap soul from the Four Tops and Lamont Dozier, Jon Kennedy's solid remix of Bob Marley's funky "Mr. Brown", and a superb dub treatment of Talib Kweli's "Mourning Unknown" by Tannone. DJ Zattar's back in the studio, digging into killer 80s boogie funk tracks and rare African disco selections. Plus: a Dap-Tone-style retake of Bowie's "Golden Years", deep disco soul by Sunny Gale, MF Doom's debut behind the mask on "Doomsday", DJ Jazzy Jeff's Nas flip "Una Amore", and essential funk loops from Glamco Productions. Lady Daisey drops an infectious slice of funk, hip-hop meets its soul roots on "Persuasion" and "Hard Times", and Parisian beatsmith Onra teams up with Slum Village's T3 on "The One". 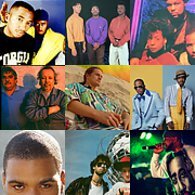 Plus: brash jazz madness by Soil & "Pimp" Sessions, a double-shot of skweee synths from Beem, and Sugar Hill Gang's soulful B-side "Passion Play". Johnny Illdigger's in the studio with dusty breaks from Trifle and Sarolta Zalatnay, classic samples by Sylvia Striplin and the Heath Brothers, and boom bap joints by the Antihero Project and Big L. Plus wild new soul sounds by the Space Invadas, boogie gems from Roy Ayers and Denroy Morgan, and Busta and Rampage back-to-back with the Jimmy Spicer and Public Enemy originals. CKUT Funding drive 2010! Featuring Redman's new heater "Tigerstyle", two dope Wu-Tang mashups, an R.I.P. 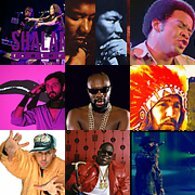 to Solomon Burke, Method Man's updated "Bring The Pain", classic samples from Minnie Riperton and Grover Washington Jr., and lots of feel good funk from the Jackson 5, Faze-O, Kokolo and more. Marie B's back with soulful funk from Shuggie Otis, The Kay-Gees, Lamont Dozier and Gizelle Smith. Plus: Parliament's classic "Bop Gun", K-os and Drake in an unlikely collabo, a funky Bob Marley cover by Malcolm's Locks, and Shad K on an Oddisee-produced heater. Jazzy flavors from the Elizabeth Shepherd Trio, a rare collabo track between KRS-One and hip-hop pioneers the Cold Crush Brothers, straight up funk jams by The Meters and Sylvester, Wu-Tang-meets-the-Beatles on Tom Caruana's mashup LP "Enter the Magical Mystery Chambers", dancefloor funk from Breakestra and Gino Dentie & The Family, and "Return of the Renaissance" off the new Hell Razah LP featuring a monstrous guest verse from R.A. the Rugged Man. We got the jazz... The Cheeba Cheeba Kid drops funky tracks from Blue Mitchell, Ernie Wilkins, Art Farmer and unsung organ master Charles Kynard. 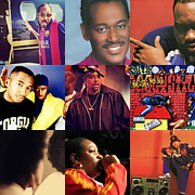 Plus an early Biggie verse on Super Cat's classic "Dolly My Baby" Bad Boy remix, funk heavy-hitters by Brenda George and BT Express, and a new Public Enemy-inspired track from C-N-N and company. Skweee! Smoked Meat Fax Machine shows off a new electronic funk sound with tracks by Beem, Mesak, Wankers United and Hedmark. Plus loads of reggae soul from Sugar Minott and Toots & The Maytals, some unreleased Pharrell backed by ?uestlove and live band, a new DJ Static "Ms. Fat Booty" blend, and Ernie Hines' soul classic "Our Generation" covered by John Legend along with The Roots and Pete Rock & CL Smooth. Scott C treats us to deep-crate heat from the Visioneers, Leroy Hutson, Captain Funkaho, Dilla, Tony Ezzy, and the Hackney Colliery Band. Plus new & old bboy breaks by Fdel and the Jackson 5, boogie tracks from Don Blackman & Bernard Wright, and new soulful hip-hop from Montreal's Jonathan Emile and Toronto's Louwop & Divine Brown. Dig On It: DJ Camero's back with sublime sample fodder from the Crusaders, Les McCann, Ahmad Jamal and Carly Simon, as well as hip hop head-nodders by Pharcyde, UMCs and the mysterious M.C.A.D. Plus some heavy soul reinvention from Cee-Lo and Palov & Mishkin, and Canadian hiphop flavors with a classic Monolith posse cut and new Specifics and Nish Raawks. Rock the House Y'all: We take an excursion through some of the funkiest rock breaks from The Grodeck Whipperjenny, Rare Earth, Jimi Hendrix, Ballin' Jack and more, courtesy of the Cheeba Cheeba Kid. Plus: MC Eiht joins space funk ambassador Dam-Funk on "Hood Pass Intact", Narcicyst drops the first track off his upcoming "Asthmatic" mixtape, and Grant Green and Eddie Henderson deliver jazz-steeped funk selections. WEFUNK pays tribute to Bootsy's brother "Catfish" Collins and his guitar work with The House Guests and James Brown. Big Pun & Fat Joe drop fiery verses on "Twinz", and Brand Nubian takes on new jack swing with "Try to Do Me". Plus some happy grooves from War and DeRobert & The Half-Truths, and an homage to the Native Tongue movement by Waahli from Nomadic Massive. Rawsoul brings the sunshine with his favorite summertime tracks from Alicia Myers, Slave, Jimmy McGriff, Kurtis Blow, Pete Rock and DJ Jazzy Jeff & The Fresh Prince. 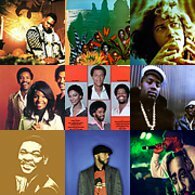 Plus some classic Native Tongues verses to elevate your mindstate on "Sh.Fe.MC's", jazzy selections from the Headhunters and Patrice Rushen, and stretched-out funk jams from Parliament and Marvin Gaye. Back to the Old School: The Cheeba Cheeba Kid takes us on a funky ride through early hip hop, featuring party raps and disco-funk grooves from Spoonie G, Lady B, Master Jay & Michael Dee and Funky Four Plus One More. Plus jazz-funk by Johnny Hammond and Nathan Davis, reggae soul from Derrick Harriott, and rock breaks by Crystal Mansion and Serge Gainsbourg. Heavyweight 80s Crates: Frank BLVD is back with lots more dusty synth funk & lost hip hop gems from Gordon Dewitty, Shadow, Unique & Dashan, Panache, Ed O.G. & The Bulldogs and more. Plus the first single from Pharoahe Monch's new album "R.A.W." (produced by Diamond D), and energetic funk & soul from the Haggis Horns and Mandrill. 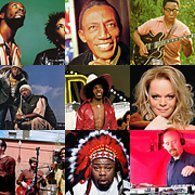 Featuring Breakestra's tribute to trans-continental funk, Coati Mundi's bizarre boogie treat "Me No Pop I", a Missy/Slick Rick collabo on "Irresistible Delicious", Dogg Master's electronic phunk stylez, a hot new Talib Kweli freestyle over Fat Joe's "Ha Ha", and a Dilla triple-play from Busta, Quasimoto & Jay Electronica. 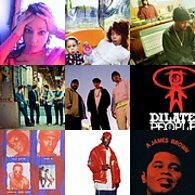 Ruby Jane picks out her funk & hip hop summertime classics from Lupe, The Klaxons, Amy Winehouse, Youngblood Brass Band as well as a few special surprise selections. Plus: Eternia teams up with Jean Grae & Tiye Phoenix for a lyrical cookout on "The BBQ" remix, Erick Sermon blasts off over En Vogue's "Hold On" beat, and Orgone and Sharon Jones & The Dap-Kings deliver tasty new funk & soul. It's Magic: Guest DJ Bain Magique warms up the mix with Brazilian soul, dusty samples and feel-good boogie. Plus: Son of Bazerk's new track blends gritty soul vocals with sample-heavy beats like it's still 1991, and we salute P-Funk vocalist Garry Shider with two of his Funkadelic classics (including "Not Just Knee Deep"). Featuring a new Madvillain joint with the signature DOOM flow over tripped-out Madlib beats. An obscure 90s track by Diamond Shell featuring older brother Biz Markie on rhymes & production. And a selection of dope covers, versions and twists of funk favorites by James Brown, Bobby Byrd, Chic and Jimmy Castor. Caribbean Heat: DJ Kobal digs up heavy, heavy tropical funk from Barbados, St. Maarten, Bermuda & the Bahamas. Plus disco/boogie grooves by Jermaine Jackson and Webster Lewis, new-generation funk breaks from 6ix Toys and The Diplomats of Solid Sound, and new hip-hop joints by Necro, Jay Electronica, and Chuck D.
Guest DJ Marie B keeps the mix drenched with high-proof hip hop and funk from Shirley Scott, S.O.U.L, Tower of Power, Snoop and People Under the Stairs. Plus soulful new hip hop by Lady Daisey, Black Stax and Red Cafe, and laid-back space grooves from the Rah Band and Matthew Larkin Cassell. Give the drummer some! Raw breaks and crazy rhythm prevail on grooves by Deela, Cleon, Barry Morgan and Ray Lugo's L.E.S. Express. Dres of Black Sheep is back with classic production and rhymes on his "Doin it Wrong RMX." Nomadic Massive and Butta Beats (feat. DJ Static) deliver Montreal exclusives. And we dip into the early jazz-funk years with tracks from Eddie Harris, Cal Tjader and Ramsey Lewis. Guest DJ Son of Soul treats us to an hour-long set of perfect summertime soul, featuring smoothed out sounds from Willie Hutch, Roy Ayers, Pleasure, Leroy Hutson, Chaka Khan and more. RJD2 returns to form with his sample-heavy "Let There Be Horns," and we check out two Kanye mashups courtesy of DJ Platurn and Nick Catchdubs. Scott C jumps in the mix with lots of hip hop from Masta Ace, Saukrates, Gang Starr and Chilean emcee Ana Tijoux, as well as rough boogie funk selections from People's Potential Records. Ghostface joins Soulico and company on a Middle Eastern rhythm excursion, DOOM shines on "Gazzillion Ear" from his latest effort "Born Like This," and we get into wild breakbeat soul by Kings Go Forth, Andy Lewis and The Apples. "Gifted Unlimited Rhymes Universal": Rawsoul & WEFUNK pay full tribute to Gang Starr / Jazzmatazz legend Guru, from stone cold classics to key guest spots, original samples and his unsung production work. Plus: heavy funk-powered beats from The Groovologists and 33 1/3 Queen, jazz-boogie gems by Switch and Karma, and a sublimely psychedelic version of "Respect" by Rotary Connection. Island soul: Smoked Meat Fax Machine dips into the funky side of reggae, including deep vibrations by Lee Perry, Sound Dimension, Tenor Saw, Pablove Black, Prince Francis and more. And we travel the wide world of beats with tracks from Italy (Rubedo Stone), Japan (DJ Honda), Germany (Delicious Allstars), and lots of UK flavour by the Haggis Horns, Kista, The Herbaliser and Featurecast. DJ Camero's got the chillout jazz breaks and moody funk sounds, taking us into the grooves of Grant Green, The Dramatics, Manfred Krug, Upp, The Horny Horns and "Brother" Jack McDuff. Jay Electronica catches his stride with the Just Blaze-produced "Exhibit C", reigning soul powerhouse Sharon Jones is back with brand new funky goodness, and Nina Simone pulls no punches in her cover of "Funkier Than a Mosquito's Tweeter". 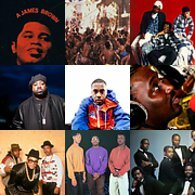 Six hundred strong: WEFUNK marks our 600th show with an in-depth feature on the funk dance Locking - its history, the music, pioneers and evolution. Plus Groove celebrates the earliest years of funk with a special '65-68 set, and Static breaks down the hiphop side into 3 decades, from pioneering tracks from Busy Bee and Spoonie Gee all the way to a blazing new joint by Janelle Monae featuring Big Boi from Outkast.